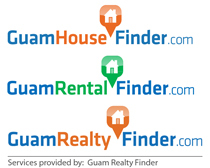 Want a house with upgraded kitchen w/granite & custom cabinets on Guam. Then take a look at this 1664 square feet home with a swimming pool and huge concrete fenced yard in Latte Plantation, Mangilao. Close to Andersen Air Force Base and downtown, must see to appreciate.